You are here: Home / Law School Admissions / Are There “Reverse-Splitter Friendly” Law Schools? There are a couple things worth mentioning before we dive into that analysis, though. First, it may be true that splitter-friendliness is more of a “thing” than reverse-splitter friendliness, and this certainly makes some sense. The non-cynical reason for believing law schools care about an applicant’s numbers has to do with what those numbers demonstrate regarding the applicant’s potential to be a successful law student and lawyer (the cynical reason, of course, is that schools game their USNWR rankings…and for my money, I think both reasons probably play a role). And to the degree that schools care about numbers as a proxy for student quality, it makes some sense that they’d be more willing to accept low GPAs if the LSAT score is high than they would the reverse. 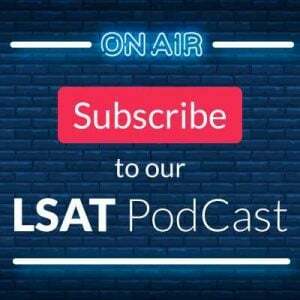 This is simply because the LSAT provides a more even playing field, and allows for an apples-to-apples comparison among applicants. GPAs, on the other hand, can come from a variety of different majors and a variety of different schools, and evaluating one against another is a much trickier endeavor. Not to put too fine a point on it, but in my life I’ve met plenty of people with high GPAs who didn’t strike me as particularly gifted, whereas the people I’ve met who have scored a 170+ on the LSAT are almost uniformly impressive. Another point: it’s tempting to think that a list of reverse-splitter friendly schools would simply be the negative image of a list of splitter-friendly schools, but this is not necessarily the case. It certainly could be the case that a school is friendly to both splitters and reverse-splitters, and is willing to dip lower on the GPA scale to snag high-LSAT candidates as well as dip low on the LSAT-scale to grab applicants with high GPAs. All I’m really trying to say here is that the concepts are not necessarily mutually exclusive. LSAT Bump: This is a number from my own regression analysis, and indicates the % increase in the likelihood of admission for each additional LSAT point an applicant has. GPA Bump: This is the GPA equivalent of the LSAT bump (the % increase for each .10 GPA). GPA/LSAT Differential: This is the GPA Bump divided by the LSAT Bump, to give us a measure of the relative importance of the two. The higher the number, the more relative weight the GPA has. Non-Splitter LSAT: This is the average LSAT of admitted non-reverse-splitter applicants. Splitter LSAT: This is the average LSAT of admitted reverse-splitter applicants. LSAT Differential: This is simply the difference between the previous two categories divided by 5 (so as to not give it too much weight as compared to the other variables), and gives an indication of how much lower on LSAT a school will go compared with its average in order to chase high GPAs scores. Reverse-Splitter Success: This is the % of reverse-splitter applicants in the data who were accepted. Non-Reverse-Splitter Success: This is the % of the non-reverse-splitter applicants in the data who were accepted. Reverse Splitter vs. Non Success: This is Reverse-Splitter Success divided by Non-Reverse-Splitter Success, and gives us a measure of how reverse-splitters fare vs. their non-reverse-splitter counterparts. If a school admits reverse-splitters at a higher percentage than non-reverse-splitters, the number will be greater than 1 (and if the opposite is true, it will be less than one). Higher numbers mean a greater likelihood that the school is reverse-splitter friendly. Index: This is the number I devised to take into account the salient data from the other categories. 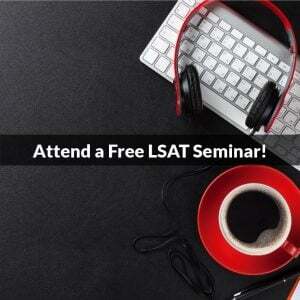 It is simply (LSAT Differential + GPA/LSAT Differential) * Reverse-Splitter vs Non Success. The higher the number, the more reverse-splitter-friendly a school is. Reverse-Splitter Unfriendly: These schools have an index number that is more than one standard deviation below the mean. As you can see, only one school — the University of Minnesota — is considered Very Reverse-Splitter Friendly under my analysis, with an additional 14 schools considered to be Reverse-Splitter Friendly. At the other extreme, Reverse-Splitter Unfriendliness is much more common than Very Reverse-Splitter Friendliness, with 12 schools falling into this category, and another 27 schools are in the Neutral-Unfriendly category. Remember, this analysis categorizes schools only on a relative basis (e.g., Georgia State is relatively more reverse-splitter friendly than the University of Arizona). Perhaps surprisingly, there’s more reverse-splitter friendliness than splitter-friendliness in the Top 14, with Chicago, Penn, and UVA demonstrating a comparatively charitable view of reverse-splitters. Still, just as we can compare all the schools among themselves, we can isolate the Top 14 and do the same thing (how do they rank relative to each other?). Not much change at all, as you can see. The only real difference is that when schools are limited only to the Top 14, Northwestern turns from yellow to red. Perhaps the takeaway here is that, while for splitters there seems to be relatively more friendliness as you go down the USNWR ranks, for reverse-splitters, there’s not much difference between the top schools and lower ranked schools (although, of course, what is meant by “high LSAT” and “high GPA” is obviously going to be different for Harvard than it is for Pepperdine). If you have any questions or comments, please post them below. Thanks! Image Application-Glasses-Pen by Flazingo Photos. Thanks for the analysis. Do you have the equivalent for Canadian Law Schools ? Thanks for the question! This was one of the very first questions we asked as well, and unfortunately there isn’t enough data on Canadian schools to craft a similar analysis. We’ll keep watching the data, and if anything changes we’ll post a splitter/reverse splitter analysis immediately, but for now we don’t have enough info to make a useful breakdown. Let’s hope that changes! Really interesting analysis, especially to me as I am a reverse-splitter and trying for some T-14s this cycle. Sorry if I missed this in the article but I am curious as to what the reverse-splitter GPA cutoffs are. For example, I see that the Chicago reverse-splitter LSAT score is 164.43. What then, would be the GPA of a person with a 164.43 GPA who has a success rate of 82.35%? I understand that the differential shows the relative weight of the GPA, but I am just curious about the GPA numbers. Thanks and again sorry if that statistics are going over my head, I wasn’t a stat major haha! obviously meant 164.43 LSAT there instead of GPA my fault. To code an individual applicant as a reverse-splitter, that person had to have a GPA that was above the school’s 75th, and an LSAT below the school’s 25th (vice versa on splitters). So, any individual applicant could be a splitter for one school, but not for another…it all depends on the individual school’s LSAT/GPA numbers. So, when you’re talking about the average GPA of reverse-splitters who got into Chicago (with reverse-splitters getting in at an 85.35% rate), you’re talking about the average GPA of *all* the reverse-splitter admits to that school. How is it that NYU, Georgetown, and UT have reverse splitter LSAT averages above the 25th percentile scores at each? Also, the first variable in your definition of “Index” is LSAT Differential, but I suspect you meant GPA Differential (numerical column 4). If so, how is the GPA Differential calculated (not defined above)? Makes sense and that answers the question, thank you! Thanks for the question! We will look into this and post an answer as soon as we have it. Thanks! As far as the reverse-splitter LSAT averages being above the 25th percentile scores at those schools, it is because the 25th percentile scores were different in each year. So, the average for NYU in the chart is 166.82, which is higher than the 25th for last cycle, but NYU’s historical 25th for the period covered is from 166-170 (as you know, schools had to kind of loosen up on the numbers over the past few cycles). Since that “average” number in the chart covers the past five years, that’s why it’s higher than this year’s 25th. So, I think that covers it but if not just let us know! Thanks, Dave. That clarifies it. The proposed analysis does seem worthy because it’s ultimately important for the reverse splitter applicant to see whether they are above or below the most recent average LSAT of their high GPA peer set. I would also comment that the multiplier in the Index is based on reverse splitter vs non (i.e. everyone else). I’m sure it won’t materially change the conclusions since it’s ultimately a benchmarking exercise, but the more practical debate is usually reverse splitter vs splitter. Anyway, please convey my gratitude to Daniel for what is a very useful analysis. Follow up question, Where do we find the average GPA of reverse splitters on the chart? If we go with the 75th quantile that would include both reverse and non reverse splitter. Also, if I understand the stats correctly, within the T14, U Chicago seems to be the best school choice for a high GPA (4.0) but low 160s LSAT? 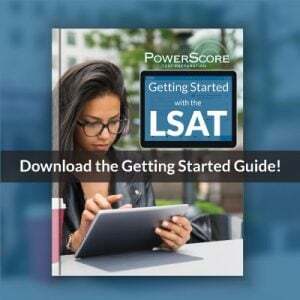 I scored a 162 on the LSAT but my PrepTest average was hovering closer to the high 160s and really low 170s on the June Exam; if possible that I am able to rescore my practice prep test scores again in September, how much would my lower LSAT score hurt in a ‘holistic’ LSAT review process? From my understanding, I won’t be seen as a reverse splittler but the much lower LSAT score still incurs a penalty for admission for the holistic LSAT review process since it is such a large difference? We can only see what the schools are doing from the data, not why they do it. As such, anything is speculative from that point. Of course, whatever it is is they are doing, it must relate in some way to what they most value and to experiences they’ve had in the past. It also is connected to the specific composition of the applicant pool each year, and thus changes can and do occur from season to season. With Boalt, they’ve always been known as a GPA school (and their multiplier always placed a higher value on GPA than other schools), but why they did that was particular to them. As for your chances (which I feel like I might have answered elsewhere possibly…? ), your high GPA will certainly help and if you have a record of low test scores that will be a plus too. At that point, every single point on your LSAT score makes a difference. You’d still be in the discussion, but always with the LSAT every little bit helps. Perhaps you missed our other article on regular splitters: http://blog.powerscore.com/lsat/which-law-schools-are-splitter-friendly ? I am still confused on what “Reverse Splitter Friendly LSAT” means on your analysis? Thanks for the question! I don’t actually see that exact term used in the article, so I’m thinking you mean “Reverse Splitter LSAT?” If so, then it is “the average LSAT of admitted reverse-splitter applicants.” That’s a different number than the 25th percentile because it uses specific admissions data about splitters who were accepted, which is going to be a separate group than all attendees (splitter and non-splitter), which is where that 25th percentile is drawn from. I didn’t happen to write this article, so I can’t provide much more of a background on certain numbers like GPA aside from what is defined above, but those LSAt numbers don’t correlate to a specific GPA since they are average LSAT scores (as defined above). It’s looking at splitters and seeing who was admitted and then painting a very broad look at which schools are generally more or less splitter friendly. You can’t use it as an exact calculator, but, for example, if you had a 161, then the Boalt number matches up with the average of what they’ve accepted, which tells you that the 161 does not put you out of the running as long as you have a relatively high GPA. That same 161 is under Chicago’s average, and thus even with a high GPA you would know your chances are not as good as at Boalt. Thank you so much for reading our comments! I am a lawyer in Turkey and graduated from number 1 ranked law school with 2.81 gpa. My gpa is pretty bad due to reasons like my dad is pretty religious and didnt allow me to follow lessons (because I am female). Although those obstacles I managed to finish law school in 4 years on time and I have 2 years work experience now. Do you think I have a chance to get accepted from top 25 schools? I wanted to get JD degree to practice law in New York. Thanks for the question! A lot of your options will come down to your LSAT score. If you can do well there, then some doors will open up for you. Your GPA is also important, but you clearly have an explanation for that, and one that the committees would find compelling. You also have a demonstrated interest in and commitment to the legal system through your prior education. So, a lot of this will come down to your LSAT score. Do well there, and tell your story well, and you’d have a chance.